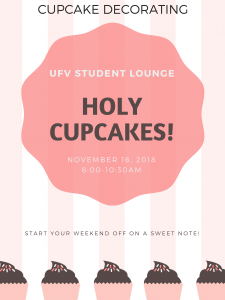 Cupcakes for breakfast? We think yes!! 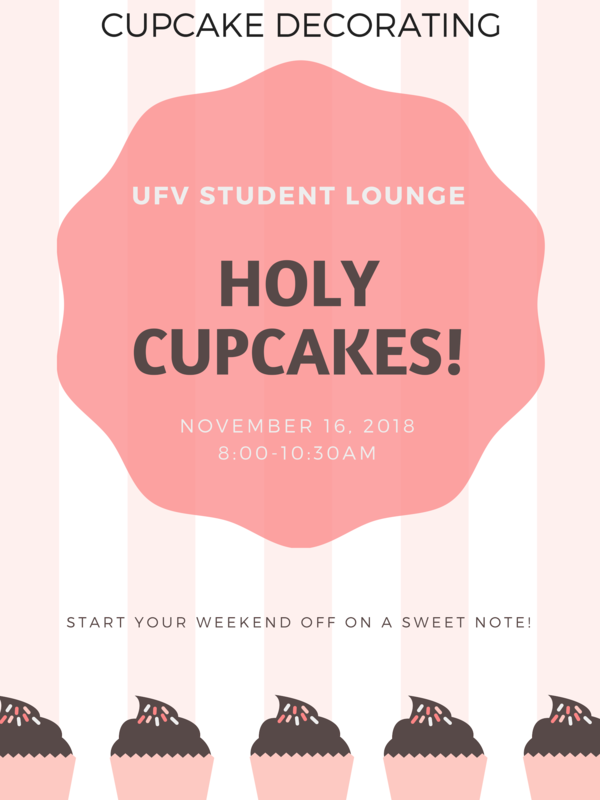 Come decorate and eat a sweet treat with us in the UFV Student Lounge on November 16 between 8:00 and 10:30am.